So, now that the State of Michigan has sanctioned the dispensing and growing of marijuana for medical marijuana purposes, you are interested in legitimizing your Michigan medical marijuana business. Or, maybe, you’ve never been involved in the marijuana industry, and now that there is a legal way to do it, at least under Michigan State law, you see a good business opportunity in Westland. 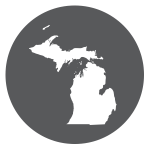 Well, the State of Michigan has a standard application form that needs to be completed in order for you to apply for a Michigan medical marijuana facilities license. The application is 45 pages, single spaced and requires a substantial number of attached plans and exhibits. Oh, and you need to have all of your financial documents, a criminal background check for you and all of the members of the Westland Michigan business, and a compliance plan regarding all of the State Administrative Regulations. Many of the application questions are hyper-technical and laborious, not to mention, complex. One screw up on the application, and your request might be denied. Given that standard application fee for the State is $6,000.00 per application, that’s an expensive mistake. That doesn’t include the municipal application that you must also submit before the State of Michigan will license you. If your head is hurting already, don’t worry, you’re not alone. 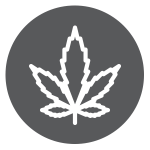 An experienced Michigan Medical Marijuana attorney dealing with the Michigan Medical Marihuana Act and who is familiar with the licensing process, can make all the difference. Absolutely. An attorney who is familiar with the Michigan Marijuana Facilities Licensing Act, and the present version of the Michigan Administrative Rules regulating the licensing and compliance of those Westland facilities, can be the difference between putting in a successful application and being rejected. Given the amount of upfront money you will have invested, along with the potential income and profit you can obtain if you are granted a license, this is really not something that you want to do on your own. Rather than putting a business plan, security plan, facility plan, and statutory and regulatory compliance plan together on your own, a Michigan attorney can help guide and compile these plans with you, and provide you the necessary guidance with regard to the statutes and regulations to ensure a compliance plan that is second to none. Actually, the way the Michigan statute and the administrative rules presently in place are written, individuals cannot apply. The rules and statutes contemplate businesses applying for the licenses. So, the first problem anyone applying for a Michigan medical marijuana license must deal with is starting a Westland Michigan business that will be applying for the license. Making sure you have set up the right kind of business is really important. The importance of corporate formation is even more important now, particularly given the changes that are coming into effect this year with the new Tax Code. Having a Michigan attorney who knows CPAs and accountants who can help make those decisions as part of the application and preparation process will be critical. There may be cases where you will need to set up multiple licenses in order to insulate you and your partners from liability. There are also minimum financial requirements that must be met to qualify for the different licenses, and they vary based on the type of license that you are trying to obtain. Knowing those financial requirements, and what documents you need to have in order to show that you and/or your partners can meet those requirements will be critical to a successful application. A Metro Detroit area attorney who is experienced with the MMMA and the MMFLA, as well as other licensing matters, will provide you a substantial leg up in the process. 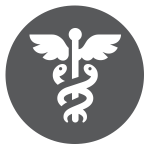 If you are thinking about applying for a Michigan medical marijuana license to operate a facility under the MMFLA, you should really consider hiring a Westland medical marijuana licensing attorney to assist you in that process.